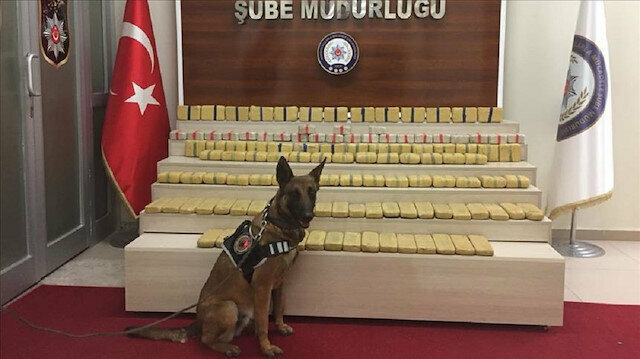 Turkish security forces on Monday seized some 285.6 kilograms (629.5 pounds) of heroin in the eastern Van province, local police said. Acting on a tip off, anti-narcotic police teams carried out an operation at a cargo company in Tusba district and found 269 kg of heroin (593 pounds) in 515 packages hidden in toy boxes. Six suspect were arrested during the operation in a house in Akkopru neighborhood, where police teams also seized 16.6 kg of heroin (36.5 pounds) stuffed in 32 packages hidden in nutmeat.